Enter your email address to subscribe to this blog and receive notifications of recent posts by a summary email. So much work was completed in 2014: the new deluxe signboard at our entrance, the two gravel trails, and the planting of many hundreds of plants and trees throughout Licorice Fern Natural Area. We will be adding a big map and other materials in the signboard, so do take a look as you walk by. Our new trails are complete now. 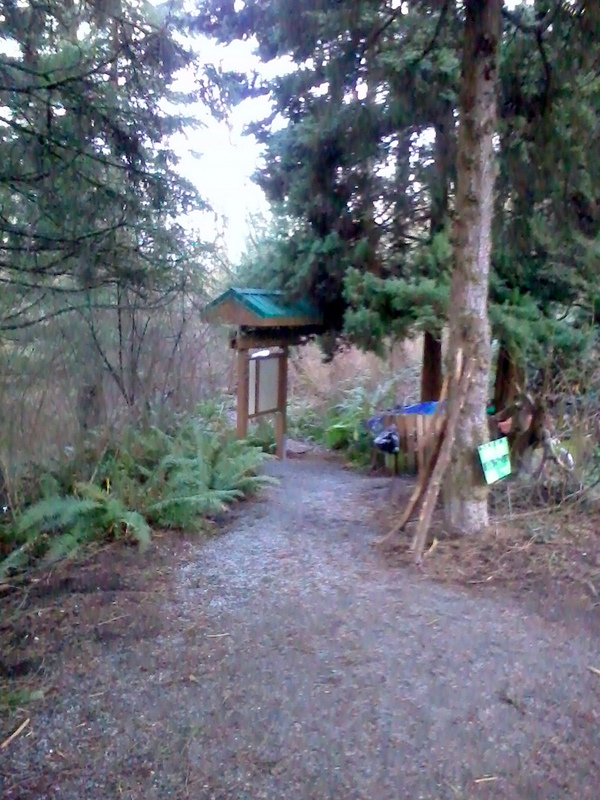 The level one on NE 130th Street ends at an overlook of the west end of the natural area. 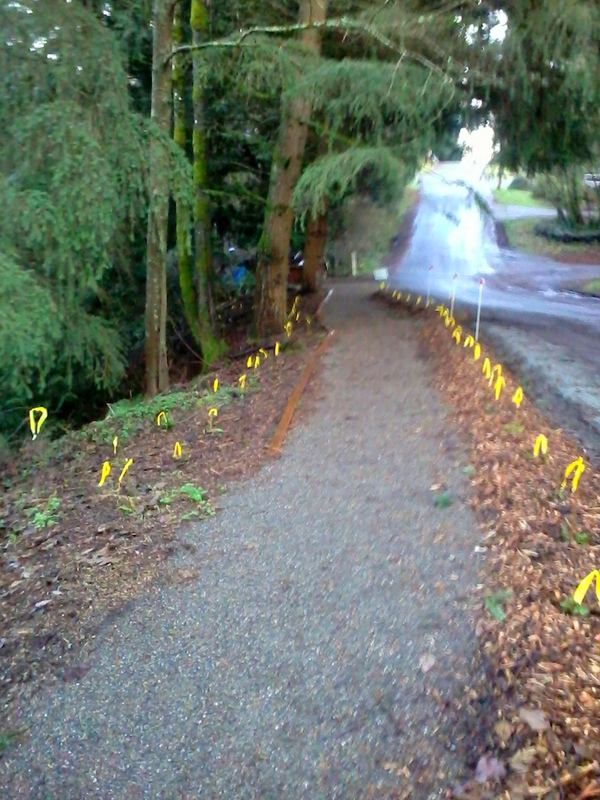 The yellow markers show the hundreds of smaller plants lining the trails. The main “Homestead” trail leads to an overlook of the center of the park. Both trails are free of mud, so you can listen to the birds without messing up your clothes. 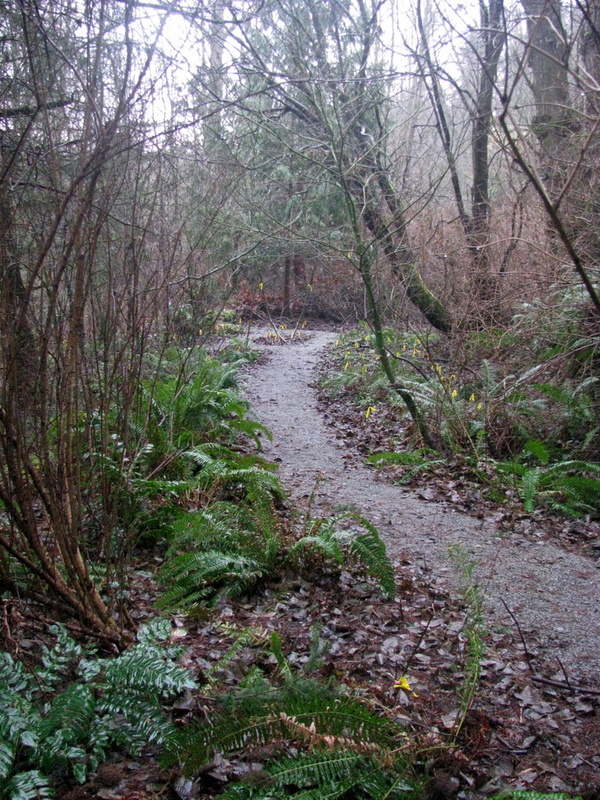 Do walk the trails any time, Licorice Fern is always open! We will be conducting tours soon, with ecologists and bird experts to add to your enjoyment. Watch for the announcements.